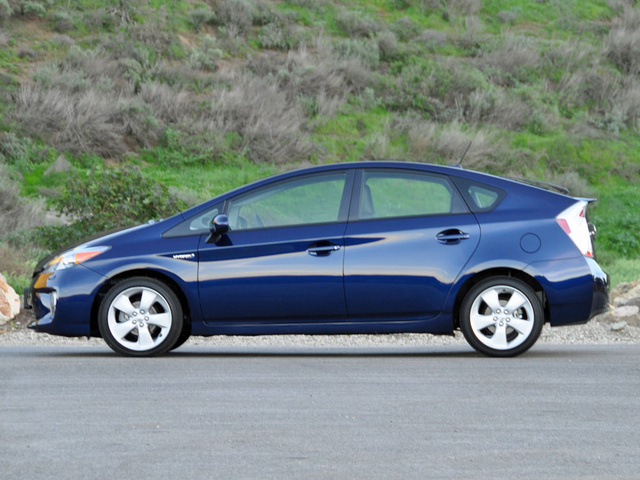 The Prius is much better looking once you’ve passed one and have it in your rear-view mirror. 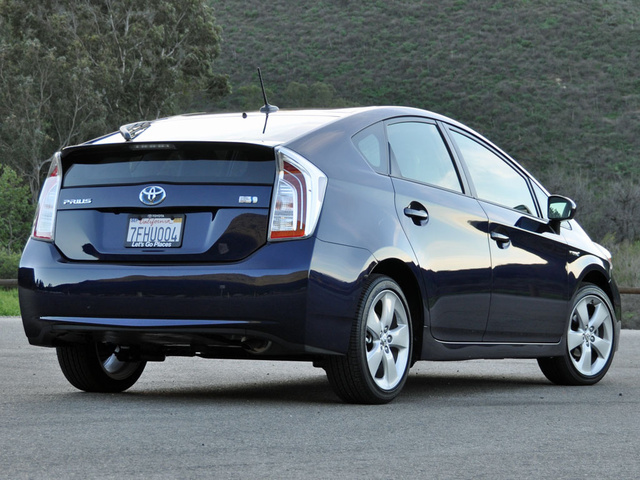 Nothing combines utility, comfort, and fuel economy quite like a Toyota Prius. Although this version of the car is starting to get old, it remains one of the best modes of transportation a person can buy for tackling the drudgery of daily living. Don’t expect to smile much, though, except when you realize how much money you’re saving on gas. 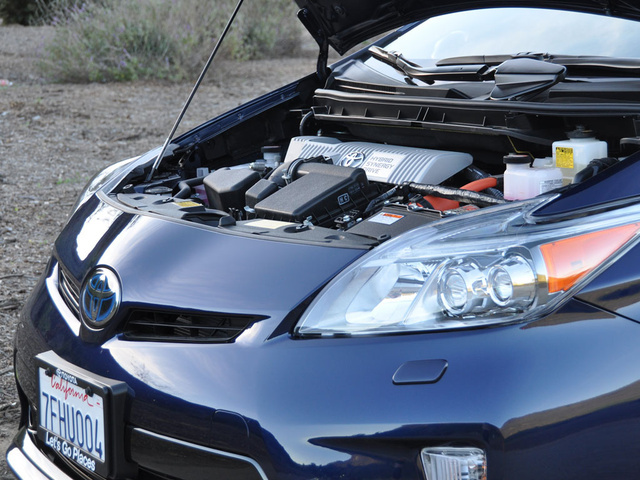 Here’s a little-known fact about gas-electric hybrid technology: It is not new. In fact, the concept is more than 100 years old. Way back in 1899, when he was 18 years of age, Ferdinand Porsche developed the technology as applied to a 4-wheel-drive vehicle called the Lohner-Porsche Mixte Hybrid, which was sold from 1900 to 1905. Experimentation with hybrid powertrains occurred throughout the 20th century, but it wasn’t until skyrocketing fuel prices, Middle Eastern turmoil, and broadening environmental concerns made mass-produced hybrid vehicles an accepted reality. One hundred years after Porsche’s hybrid, Honda introduced the 2-seat Insight to Americans. Slow and impractical, but aerodynamic and wickedly efficient, the Insight broke new ground. Now, for 2015, almost every carmaker sells at least one hybrid model, but Toyota offers the broadest range of them, with the Prius easily the best seller among them all. Honda may have put the first modern hybrid on the road, but it is the Toyota Prius that jump-started the green movement, charming legions of adoring fans with its ugly-duckling looks, space-age technology, unexpected practicality, and fuel-sipping performance. Though the model dates to 2001, it was the boomerang-shaped 2004 Prius that became an instant cultural icon. The car even had its own plotline in a Larry David television sitcom. Toyota most recently redesigned the Prius for 2010, taking an evolutionary rather than a revolutionary approach and refining a successful formula in the process. Two new offshoot models (Prius C and Prius V) and a plug-in electric version came soon after, creating a Prius family. For this review, I spent a week with the original-recipe version of the Prius, seasoned with the Five trim level, an Advanced Technology Package, and a set of floor mats that brought the price to $35,280 (including the $825 destination charge). From a design standpoint, what a decade ago constituted a radical approach to design now elicits a shrug. The wedge-shaped Prius with its cargo-friendly hatchback design is now commonplace. Still, you’re not going to mistake this distinctive car for anything but a Prius, a vehicle that elicits a Pavlovian groan upon sight as their owners plod along to maximize their gas mileage. This car is much better looking once you’ve passed one and have it in your rear-view mirror. Slip into a Prius's driver’s seat and prepare to be dazzled by all the different shades of black and gray one could possibly imagine, rendered in a variety of textures. Most of the interior plastics are hard and feel flimsy, and except for the center-biased dashboard design and the unique joystick shifter, this Toyota doesn’t advance the high-tech cause in terms of its interior design and materials. Logically, you realize that most of the money put into the Prius went into the hybrid powertrain’s development. Nevertheless, this cabin feels like a sacrifice. The Prius might not be priced and sized like an economy car, but the cabin sure makes it feel like one. The Toyota Prius exists for only one reason, and it isn’t to raise your pulse. Sure, you might get a shot of dopamine when you see how little you’re paying at the pump; otherwise you’ll want to find other stimulants for your pleasure centers. Push the car’s Start button and the result is an eerie silence, one that continues as you creep out of your driveway and down the street. Only after you push the gas pedal with fervor will you hear the comforting sound of a gasoline engine firing and burning fuel. That’s because, for short distances and at speeds under 25 mph, a Prius can operate purely on the electricity stored in its battery pack. Skulking around neighborhoods and down city streets is where the Prius excels. Should you need more power, simply press the accelerator harder. The 1.8-liter, 4-cylinder engine fires up and is assisted by the car’s electric drive motor. Total output measures 134 hp, but remember that the electric motor makes its peak torque right away, helping the Prius to feel livelier off the line. As speed builds, this effect fades, and a Prius reaches 60 mph in leisurely fashion. A continuously variable automatic transmission (CVT) powers the front wheels, controlled with a joystick-style shifter. When it is time to park, push the Park button. Toyota provides Normal, Eco, Power, and EV driving modes, and I frequently used the Power mode to extract a little more spirit. My average of 41.3 mpg during a week of driving reflects my regular use of the Power mode. That’s far short of the EPA’s official fuel economy estimates of 51 mpg city/48 highway/50 combined. Even though I drove my test Prius in unbecoming fashion, effortlessly achieving 41.3 mpg remains remarkably good. And this, more than anything, is why you buy a Prius. The rest of the car's driving traits match its powertrain’s personality, if not its level of sophistication. Naturally, the regenerative brakes are grabby and difficult to smoothly modulate. Steering is light and effortless, great for city driving, but it provides little in the way of feel at higher speeds. My test car’s larger 17-inch aluminum wheels and tires improved grip, but also transmitted more harshness from the road into the cabin. Unexpectedly, a Prius Five is actually somewhat athletic when tossed around, thanks to all of its battery weight snugged down low in the car’s architecture and the larger wheels and tires. Perhaps that’s why you can get lowering springs, a rear sway bar kit, and forged aluminum wheels from the dealership. You’ll want ‘em if you ever plan to take the scenic route. Most people think the Prius is a small car. It’s not. According to the EPA, it is a midsize car, and it feels like one when you get inside. 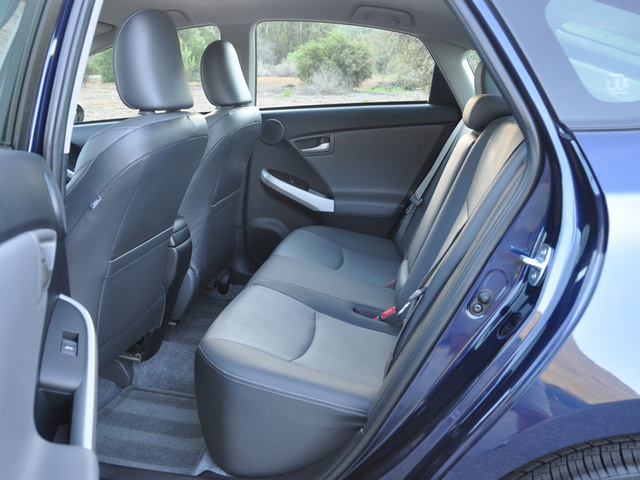 Front seat and back seat comfort levels impress, and thanks to its 5-door hatchback design and folding rear seats, a Prius provides plenty of utility. 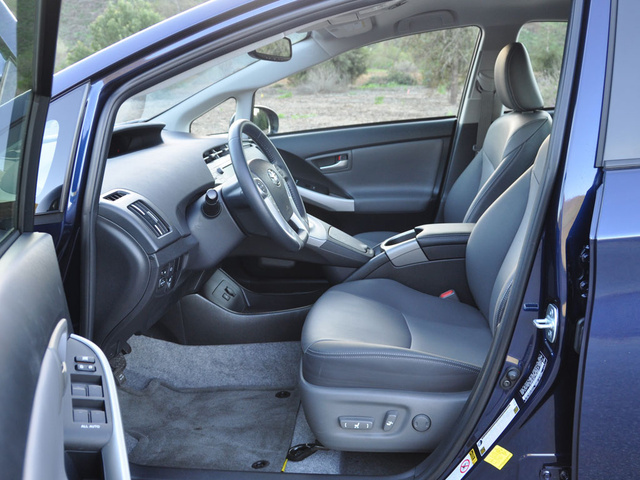 My Prius Five test vehicle had dark gray SofTex leatherette upholstery. It is reasonably soft, but no substitute for the real thing. Plus, on warm, muggy days, SofTex tends to trap sweat. That’s always pleasant. If the weather is cooler, the driver’s seat is a good place to be in terms of visibility. The driver and front passenger sit up nice and tall, and it’s very easy to see out of this car thanks to thin windshield pillars and front quarter windows that enhance the feeling of spaciousness. The front seats are also supportive and supply a wide range of adjustment, while adults riding in the rear seats will be shocked and amazed by the amount of legroom. A Prius serves well as a family car, with no trouble at all. Pop the rear hatch to access 21.4 cubic feet of cargo space behind the rear seats. That number nearly doubles when the rear seats are folded down, or so says Toyota. The result is not as roomy as a typical crossover SUV, but then again, a typical crossover SUV can’t come close to matching a Prius when it comes to fuel economy. The Prius is sold in trim levels called Two, Three, Four, and Five, and as you move up in terms of price, you also gain additional technologies that make this car a more palatable place to spend time. Prius Three and Persona Series models get a navigation system, Entune App Suite technology, and expanded Smart Key functionality. A Solar Roof Package is optional for the Prius Three, adding a solar-powered ventilation system and a remote air-conditioning system to the car, as well as a power sunroof. The Prius Four can be optioned with a Deluxe Solar Roof Package enhanced with a heads-up display, a premium audio system, an upgraded navigation system, and Toyota’s Safety Connect service. My Prius Five test vehicle had exclusive LED headlights as standard equipment, as well as the optional Advanced Technology Package. This upgrade swaps out the solar-powered ventilation and remote air-conditioning systems in the Deluxe Solar Roof Package and swaps in dynamic cruise control, a pre-collision system, and a lane-keeping assist system. I really liked the heads-up display, and the Prius Five’s instrumentation includes an Eco Monitor that delivers real-time efficiency updates designed to encourage fuel-saving driving habits. There’s also a handy display that shows the Prius’s average historical mileage, and with a few data inputs based on your friends’ average fuel economy and the average price of gas, the system shows how much money you’ve saved by driving a Prius instead of something else. Once you’ve paired a smartphone to Toyota’s Entune App Suite technology, it provides access to Internet search, Internet radio, and other useful applications right from the dashboard display screen. My test car also had a JBL premium sound system, a hard-drive navigation system, and advanced voice-recognition technology. The Prius also has Touch Tracer Display technology. The driver uses multi-function buttons on the steering wheel that correlate to displays tucked into the wide instrumentation band beneath the car’s windshield, the idea being that you can adjust various features without taking your eyes off the road or your hands off the wheel. It takes some practice to use this, and I find it more distracting than simply reaching over and turning the stereo’s volume knob. Toyota restricts availability of its Safety Connect technology to the Prius Four and Prius Five models, and that’s a drag. You see, this system includes automatic collision notification and emergency assistance services, and while you need to pay for the subscription after the first year, these are useful to anyone, not just people spending the most money on one of the more expensive trim levels of this car. My test car’s exclusive Advanced Technology option package included a lane-departure warning system, an adaptive cruise control system, and a pre-collision warning and braking system. What you cannot get for a Prius, at any price, is a blind-spot warning system, arguably the most useful safety innovation of the past decade. Neither does Toyota offer features such as speed alerts, curfew alerts, or geographic boundary alerts. Honestly, I’m not really sure why this option package uses the word “advanced” in its title. If you do happen to get into a wreck, know that the 2015 Prius fares well in crash tests. The National Highway Traffic Safety Administration gives it an overall rating of 4 stars, while the Insurance Institute for Highway Safety (IIHS) gives the Prius a Top Safety Pick commendation. Here’s a hint: Buy a Prius when gas prices are low. During those periods of time, dealers are in the mood to bargain. When gas prices spike and consumers freak out, it’s harder to get a great deal on a Prius. No matter how much you ultimately pay for the car, it’s going to be very inexpensive to own and operate. 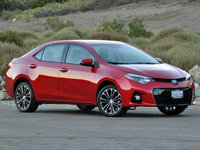 Plus, Toyota kicks in free scheduled maintenance for the first 2 years or 25,000 miles of ownership. Add some of the most impressive reliability and dependability ratings of any car sold in America, and a Prius is going to save you money. Until you want to sell it, that is. 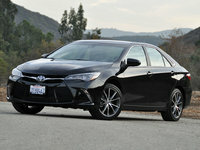 According to ALG, this car gets a 2-star depreciation rating, the worst among all Toyotas. After all, it does represent an acquired taste, and not everybody is clamoring to own a used Prius. 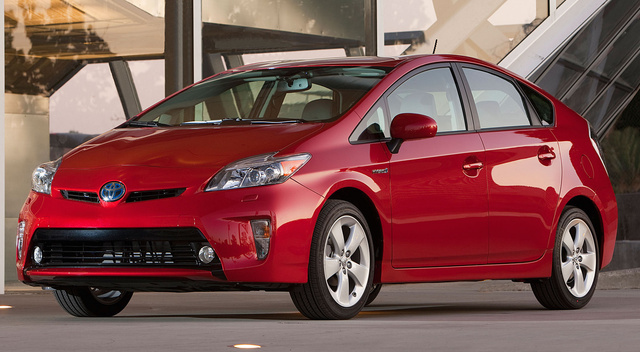 What's your take on the 2015 Toyota Prius? 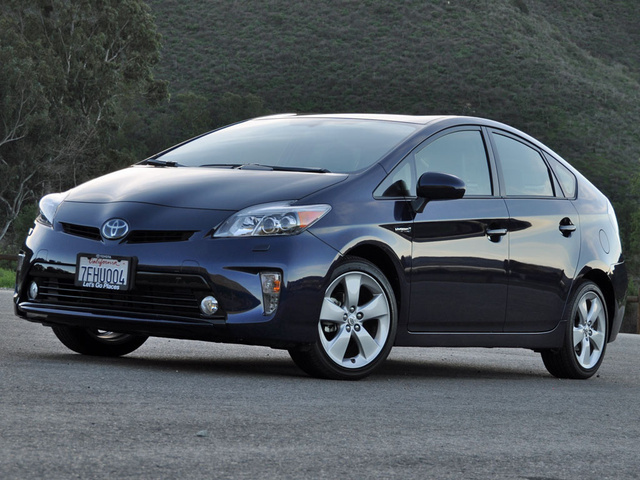 Users ranked 2015 Toyota Prius against other cars which they drove/owned. Each ranking was based on 9 categories. Here is the summary of top rankings. Have you driven a 2015 Toyota Prius?